Dress up your little gentleman in this elegant four-piece suit, including a matching shirt and tie. 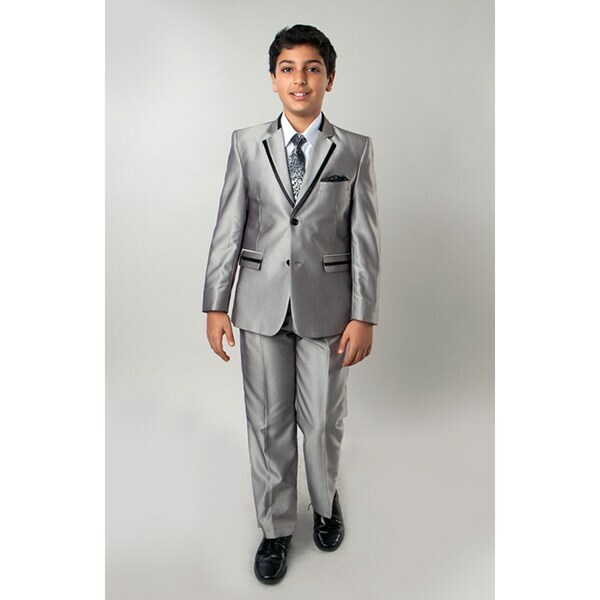 Use this traditional formalwear for any family celebration or awards ceremony, such as a wedding or a graduation. Children's Clothing Buying Guide from Overstock.com. Our guides provide customers with information about children's clothing. International Children's Clothing Sizing Guide from Overstock.com. These size conversion charts will give you an easy reference when you're online shopping for baby clothes, toddler clothes, boys' clothes, and girls' clothes.